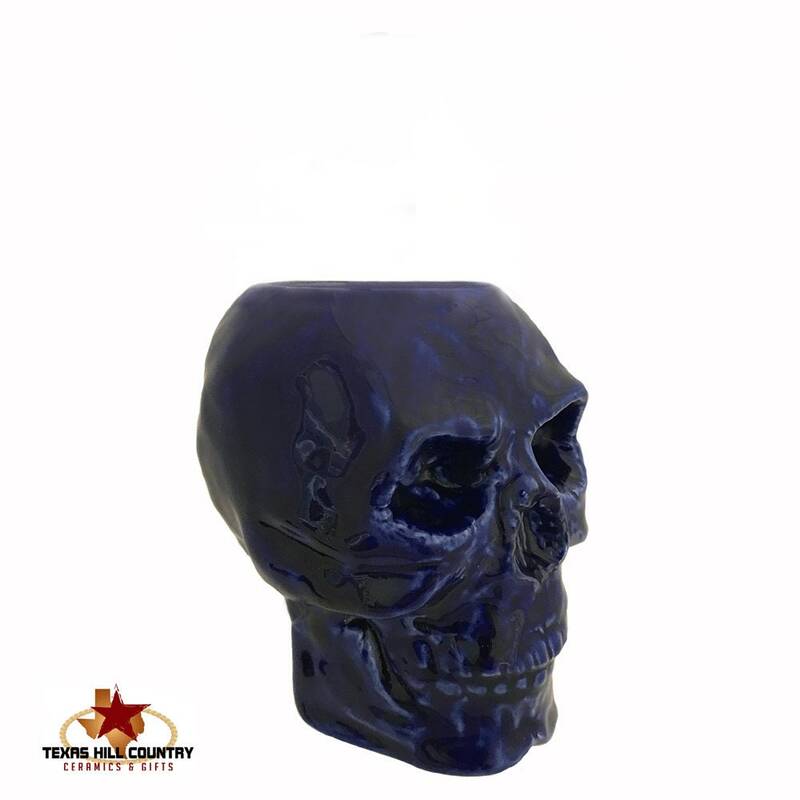 This dark blue skull is designed to be used as a holder. It can hold toothbrushes, makeup brushes, pencils or pens, even small tools used at a work bench, desk or bath vanity. 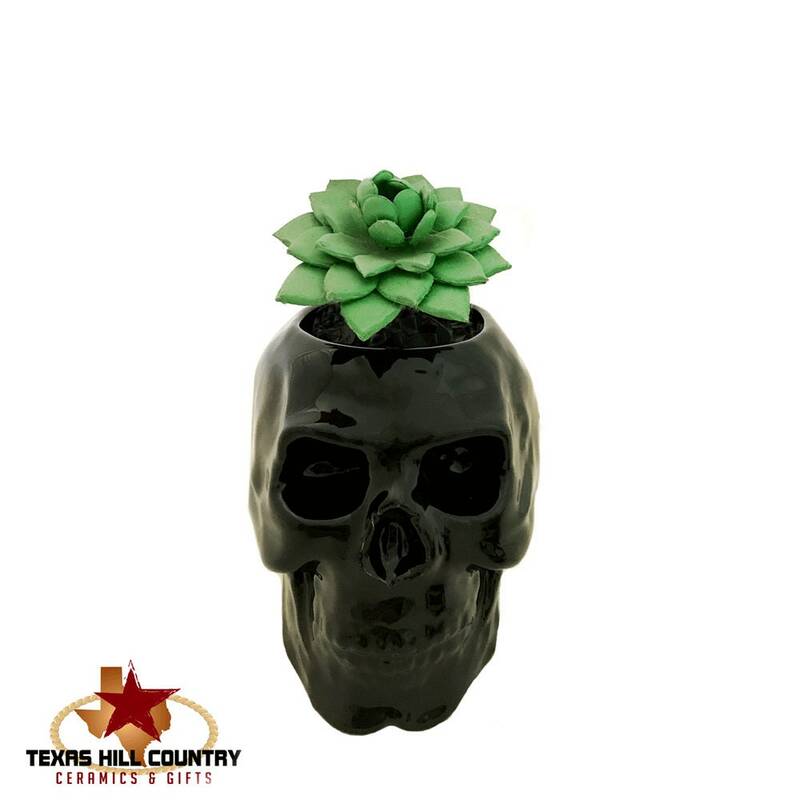 You can also use it as a planter for succulent cactus or dried or silk plants or vase. It can also be used in the kitchen on the counter to hold teaspoons or small utensils. 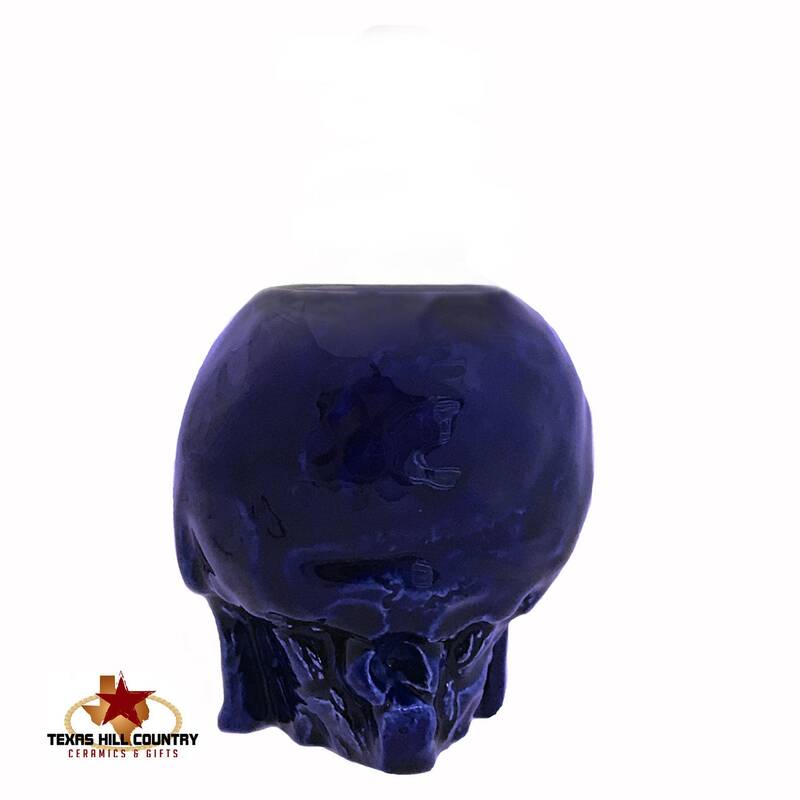 This dark blue ceramic skull is perfect for adding a creepy look to any area of the home or office. 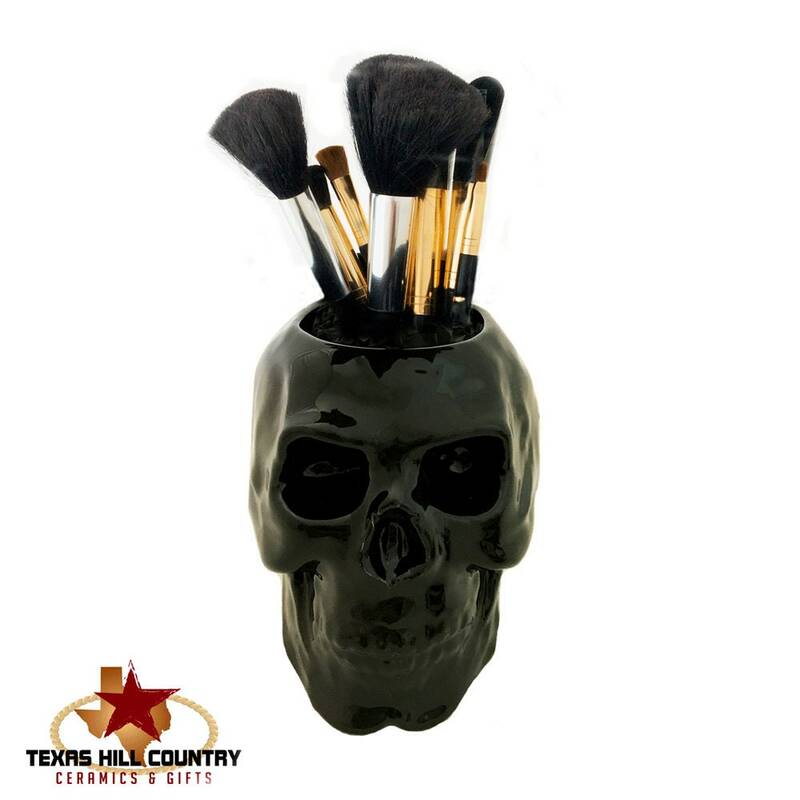 This ceramic skull holder is made for fun, what better way to add a little creepiness to any Halloween party setting. Great gift for a phrenologist. • Made to Order, see processing in the Shipping Section. 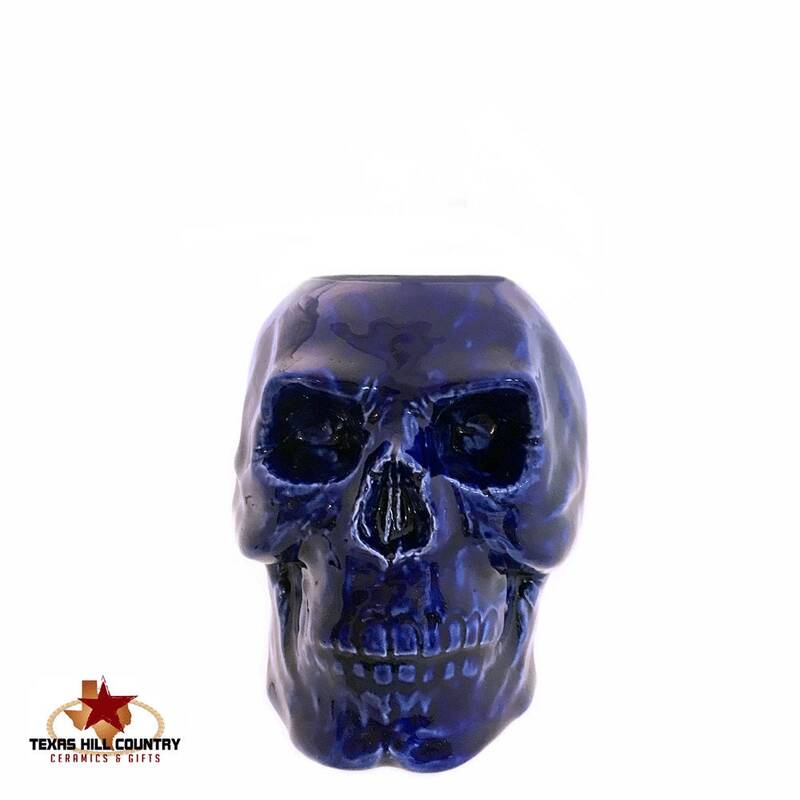 The skull is made of kiln fired domestic and finished in lead free glaze. 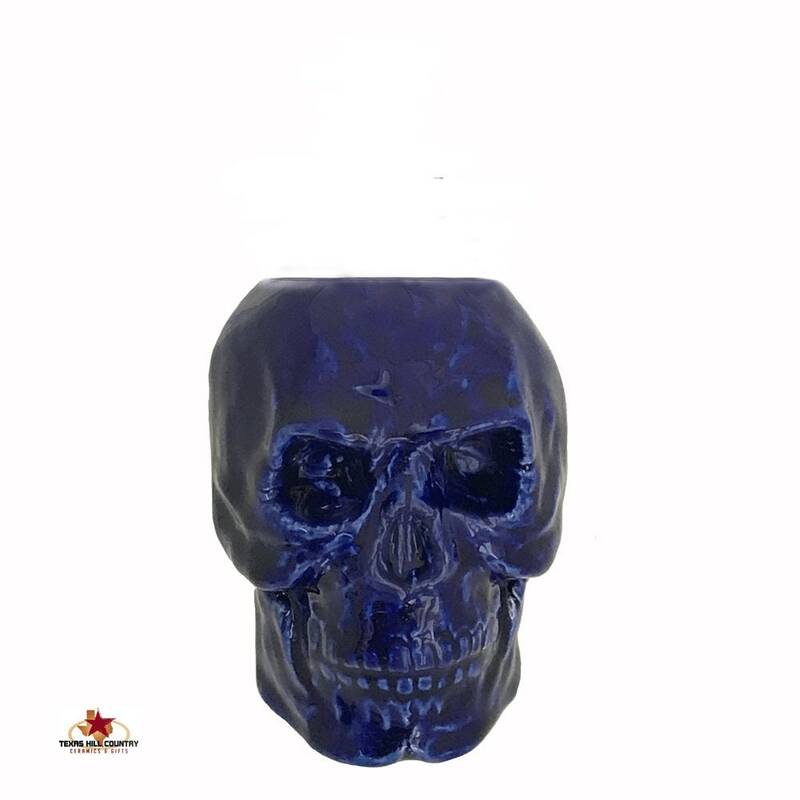 This ceramic skull is available in an assortment of colors in my shop. The last two photos are examples of how the skull can be used. Coordinating items available.